Droned-out ambience and densely layered field recordings, distorted beats and industrial-edged basslines – these are the cornerstones of the darkly immersive sound-world of Berlin-based artist Simon Hayes aka Swarm Intelligence. Over the course of two albums for Ad Noiseam, a 12" on Voitax called “The Lighthouse”, and an upcoming EP on the Instruments of Discipline label, Hayes has refined the Swarm Intelligence template to nearly weapons-grade precision. 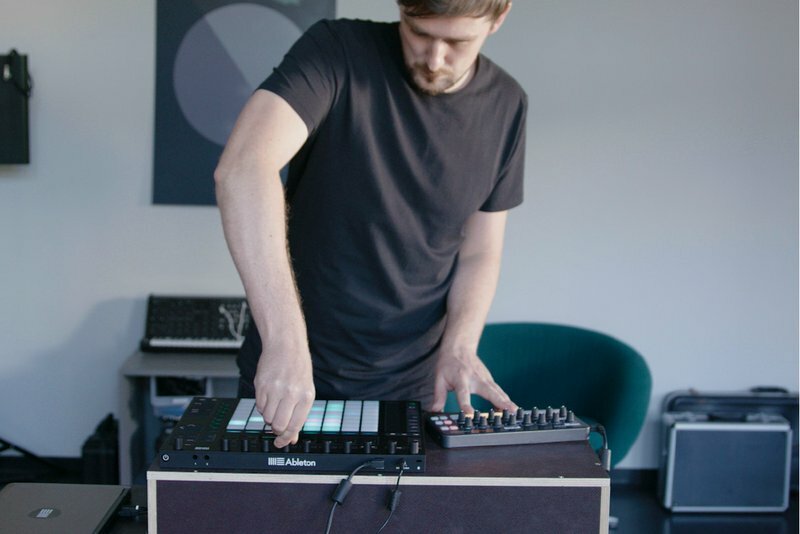 Equally meticulous in translating his studio productions into compelling performances, Hayes has earned a solid reputation for fearsome live sets that mix clattering beats, snarling, abrasive distortion and dissonant textures. In the video below, Hayes shares a few highly useful techniques and strategies for performing on stage with Live and Push and striking a balance between reacting to the moment and recreating studio tracks.